Freighter collided with fishing vessel TONG MAO 1, rescued crew, East China sea. 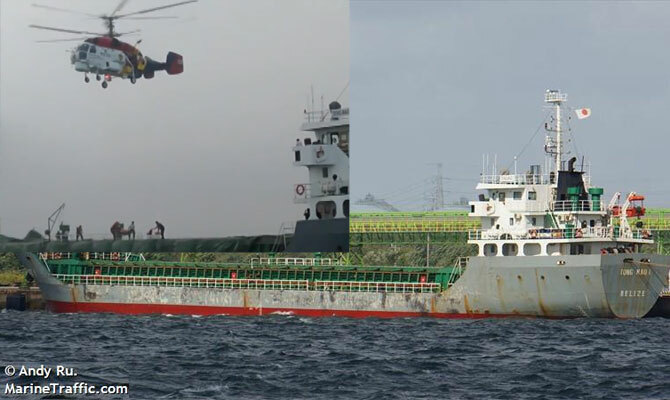 Freighter collided with Korean 9-ton fishing vessel some 25 nm southeast Seoqwipo, southern Jeju Island, Korea, in the afternoon July 1. Fishing vessel sank, 6 crew were rescued, understood by freighter. One of rescued was injured, in need of urgent hospitalization, he was airlifted by helicopter, but died in a hospital. Name of the vessel wasn’t revealed, according to available information (to be confirmed) it’s TONG MAO 1 , which is en route from Qingdao China to Yatsushiro Japan.